In South Korea, a blogger named Tipytipy recently uploaded photos of his bike. His Mass Effect themed one, that is. 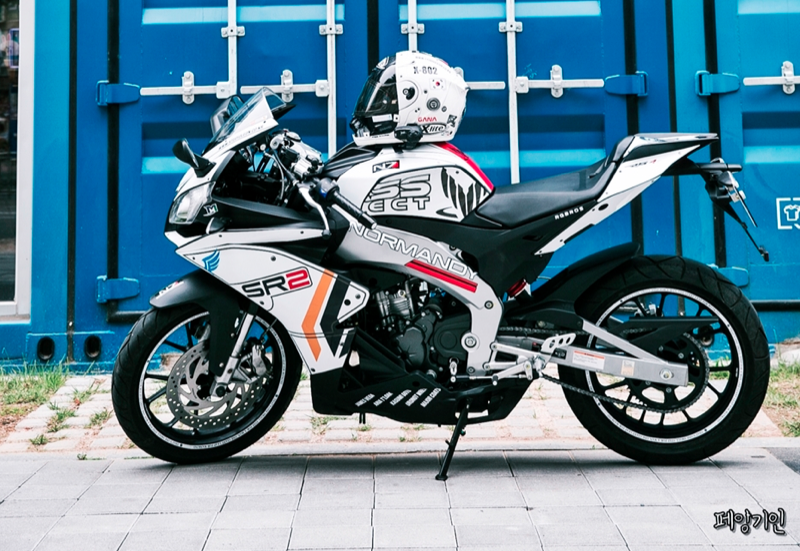 Via tipster Sang, the bike is an Aprilia RS4 125 with custom decals designed to make the motorcycle look like the Normandy SR-2, one of the Mass Effect starships.